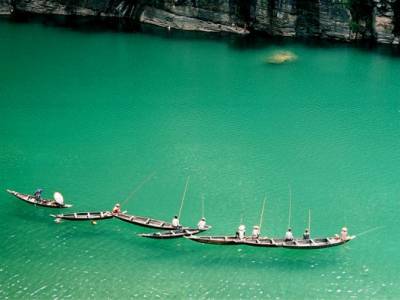 The most interesting and magical natural wonders of Meghalaya is the Umngot River. It is said to be the cleanest river ever in the Indian subcontinent. 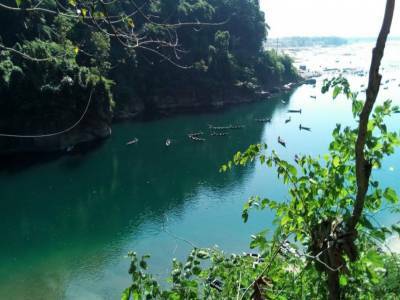 To visit Umngot River the tourist must travel to the border town of Dawki. 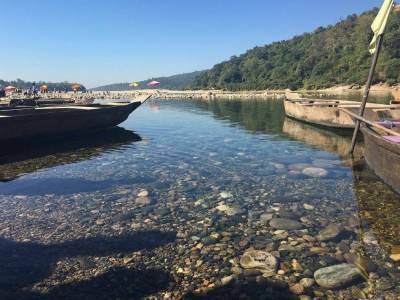 Dawki is itself a very beautiful place only 75KM drive from Shillong. The main tourist attraction is the Umngot River itself. A serene river with crystal clear water flowing between two steep mountain walls is a sight to adore. 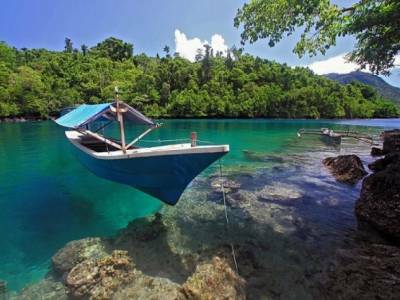 The water is so clear on a good day that the river bed is clearly visible and presents an illusion of a bloat sailing on air. 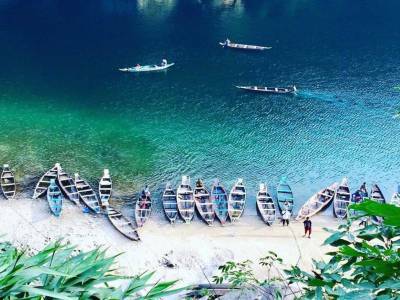 The boat ride at Dawki pot on Umngot River is the main tourist attraction. The ride is beautiful as one will see the majestic of the mountain gorges, river caves, cascades, springs, various floras and the crystal cold water of the river. The dip in the shallow end of the river is a great way to blend in with nature. The best visiting month is April and the river is best avoided during monsoon season as it overflows and boating remains closed. Get quick answers from travelers who visit to Umngot River.